University of Benin (UNIBEN) Joint Universities Preliminary Examinations Board (JUPEB) Admission Clearance Guidelines, Resumption and Lecture Commencement Date for Newly Admitted Students for 2018/2019 Academic Session. 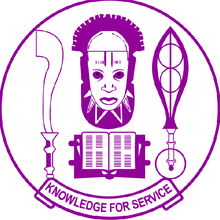 This is to inform all the newly admitted candidates into the University of Benin (UNIBEN) Joint Universities Preliminary Examinations Board (JUPEB) programme that the management of the university has released their clearance exercise procedure. 1. Login at https://www.uniben.edu click on student portal and login with the username and password used for their application and result checking. 2. Click on “Download application slip”. . Print it and take note of your ID. and Password. You will henceforth, use your ID and Password for subsequent login. Login and print your provisional admission letter. 3. ONLY CANDIDATES WITH THE RIGHT PASSPORT SIZE (1-inch X 1-inch) WITH RED BACKGROUND PHOTOGRAPH USED FOR THE SCREENING AND ALREADY EMBEDDED IN THEIR DOCUMENTS AND WITH REQUISITE RESULTS TO CLEAR SHOULD PROCEED TO FILL OUT THEIR CLEARANCE FORM. 4. Optional: You can change your password by clicking “change password” button and you can also change your email and phone number by using “Edit”button. 5. Your record has been activated to enable you fill out the clearance form. 6. Click on “My Data”on the menu and select “Clearance data”option.to open your Clearance/Eligibility form. “O’ level Certificates and Statements of ‘O’ level results from the schools. Affidavit of Non Membership of Secret Cults. 8. At the bottom of the Clearance/Eligibility Form, click on the “Save”button to return later and complete the form OR click on“Save and request clearance” button to finally submit your Clearance/Eligibility. 9. Make relevant copies as requested by your officers. 10. Upon successful physical clearance, proceed to pay you School Fee/Charges. Please note that you are not allowed into the lecture halls and to proceed with any other activity without evidence of payment of fees. 11. On the Menu, click on “My data”. select “Payment”option then click on “Add online payment ticket” button. 12. Select from the Payment Category, “School Fee”and click on “Create Ticket”button and then click the link under Payment ID. 13. Click on the “College Pay” button to view payment details and click the “Submit” button to proceed with the payment through Interswitch payment gateway. 14. Select your ATM Card type: Verve or Master Card and supply the card details (card number, expiration date, 4-digit PIN etc) as required. 15. Then click on “PAY” button.